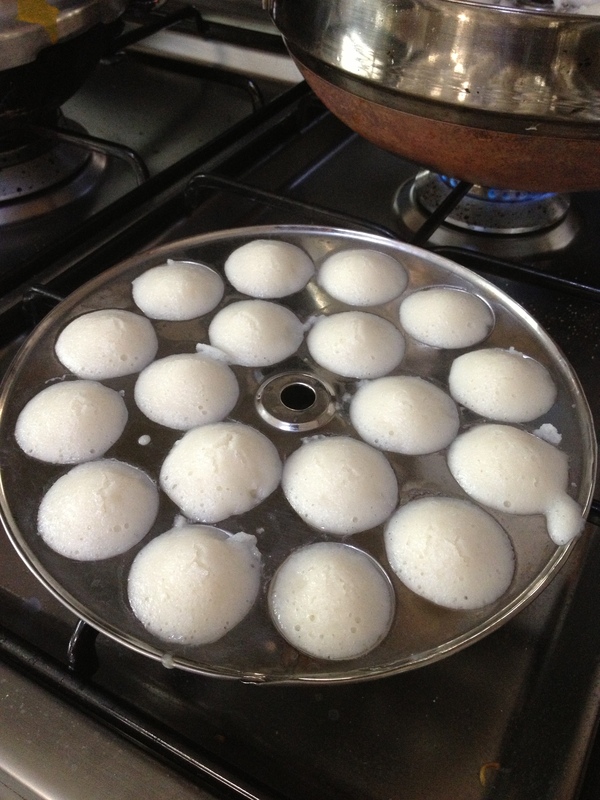 Kutty Idly – This is yet another childhood delicacy. Idlies are the staple breakfast and/or dinner main course.. that we know. Kutty means small and these are a smaller version of the same batter but with a different mould – smaller to have a tempting trick on children and some grown ups too! And who said it’s not for adults? It is a sort after breakfast or tea-time snack in restaurants all over Tamilnadu, especially the cities. Patiently making countless small idlies is though easier than taking the idlies out of the mould! Before getting more nostalgic, now, these Kutty Idlies are perfect for children to pick up their breakfast, dinner or evening snack themselves and relish it too! 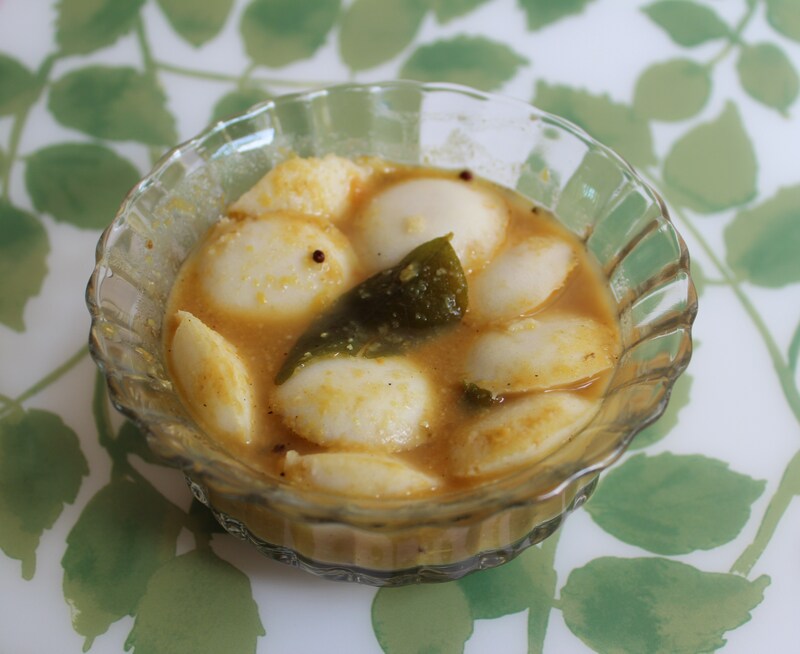 These idlies get a special image lift, when they are soaked in sambar – the tangy lentil curry. The Sambar version can be altered to preferences, spicy, tangy or subtle in flavours or just with more lentle suitable for children. As they are soaked in hot sambar, the soft idlies become softer, easier for elders as well. The sambar here is not the usual sambar, it tastes the best with Araichu Vitta Sambar – Sambar made with freshly ground spices. 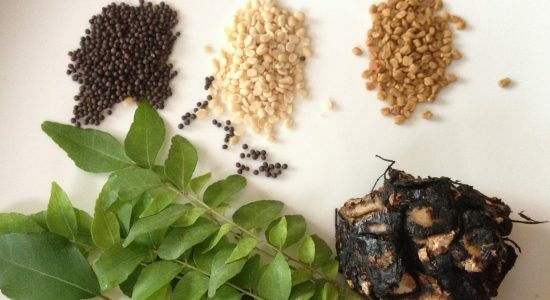 Here, I have tried to give the same flavour of Araichchu Vitta Sambar with the same Amma’s Sambar Powder with ground coconut and coriander seeds. 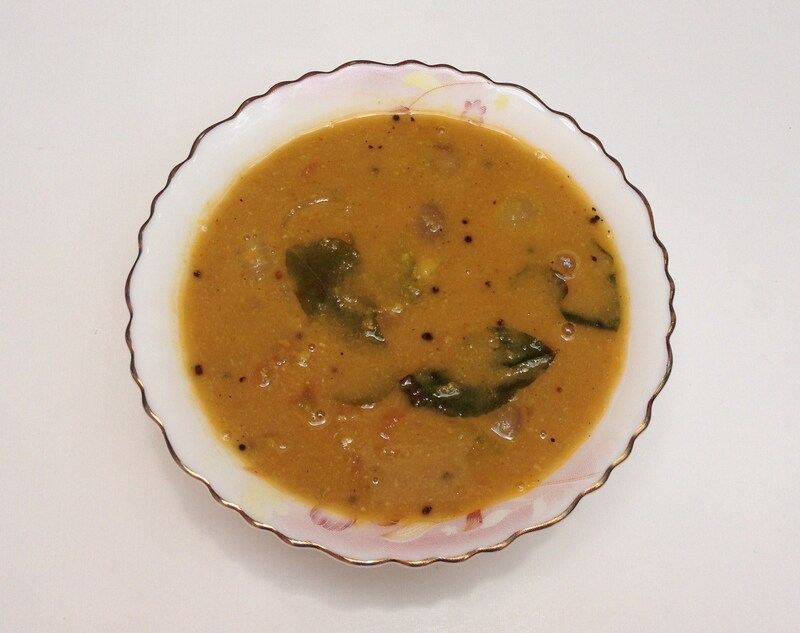 This complete meal is called Sambar Idly – idlies soaked in Sambar. Do not make the mistake of ordering Idly Sambar in a restaurant keeping in mind idlies soaked in Sambar. When it is Idly Sambar, you are served normal idlies with chutney and sambar. When it is Sambar Idly, you got it right! Steam idlies in the mould or those without the mould can use very small bowls as moulds. 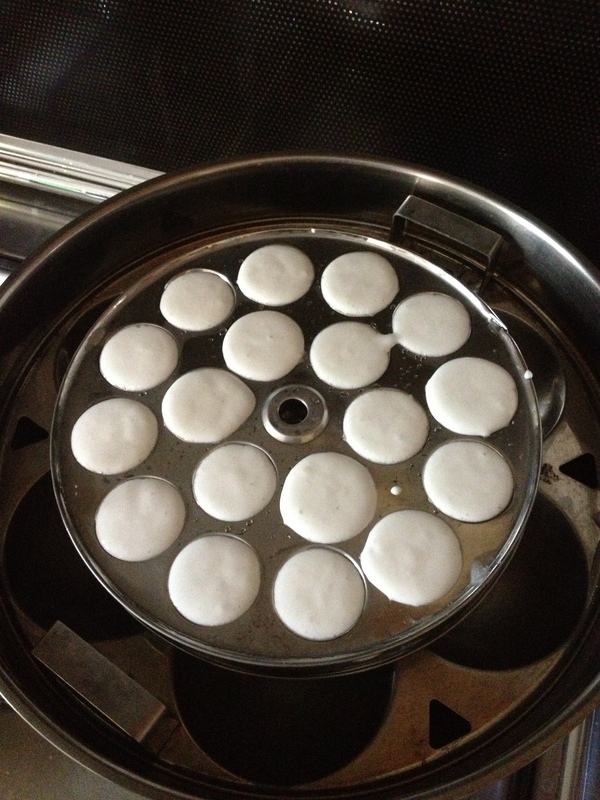 Or just cut the normal idlies into four or six pieces… the idlies to be soaked in sambar is what matters after all!